New to the BRC? You need to introduce yourself here, so we all know who you are, what you ride and how you found us! Mandatory :)! Taking your dirt bike/atv for a squirt through the woods or dirt tracks, post in here. Wanna go to the track and do some laps? Post in here. Do you race ? want to start ? share your knowledge, ask questions, your bike, your progress, up coming meets and results. A General Place to talk bikes! So take a peek, post a few things, get involved in a few topics! Got some riding tips to share? From beginner tips up to few advance rider techniques? MotoGP, Superbikes, Phillip Island etc. Talk about current race stats. Casey Stoner, Valentino Rossi, Jeorge Lorenzo etc. Make predictions for the Superbikes. Got a Phillip Island trip planned, post it in here. Get your BRC Shirts, Stickers, Keyrings in here. Show your colours when you're out and about. Discounts provided exclusively to BRC Members, Action Cameras, Engine Parts, Tyres, Riding Gear, Bike Accessories etc. 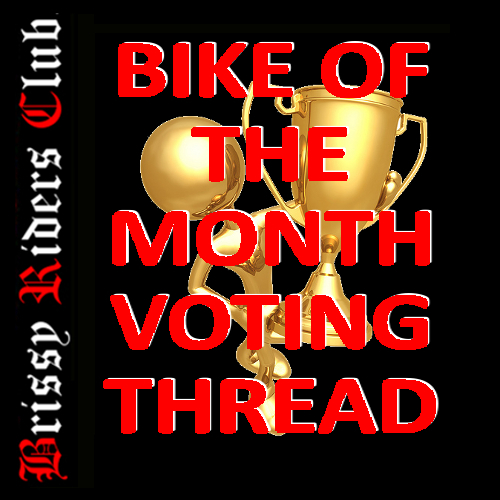 Whatever Other **NON BIKE RELATED** Stuff You Want To Talk About! Talk about anything in here. From random stuff to random stuff that sometimes might even make sense! For rides organised by non-BRC organisations eg, Babe Raid, Ride for Daniel Morcombe etc. Support Your Community. Buy Local ! !